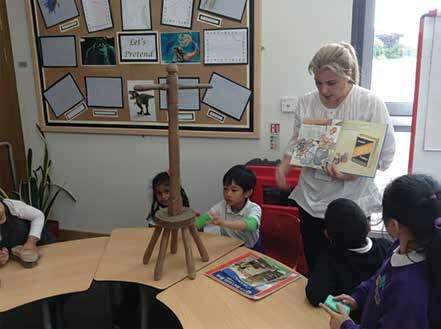 Unknown, interesting artefacts can really capture a child’s enthusiasm for learning. In the Foundation Stage, children want to use all their senses to explore and play with objects, and so the planning of practical, hands-on activities is important. The activities in this article were completed by Reception children in a large inner-city primary school in the west end of Newcastle upon Tyne. The specific artefacts were chosen as the children could both interact with them and make links to their own everyday life.